4. Beginning 3/29/11, I am not going to approve new comments that, in my judgment, are just uninformed rants offering nothing useful to the readers of this blog. I allowed those up to this point but have decided that the readers of this blog should not have to read uninformed rantings of people who, for whatever, reason rant rather than discuss. I feel that I owe it to the many readers who are looking for informed discussion. So, readers who rant will have their comments deleted. I am not going to go back to earlier comments to eliminate the rants. That would just take too much time. But future ones will not be approved. And, for a comment that is primarily ranting but may have some good comments buried in it, I will not take the time to ferret out the good comments. I will just not approve the comment but the commenter can eliminate the rants and repost the good stuff. PLEASE KEEP THE COMMENTS AND THE TONE CIVIL, DECENT AND APPROPRIATE. YOU CAN COMPLAIN ABOUT THE IRS ACTION WITHOUT AD HOMINEN ATTACKS AGAINST THE IRS, TIM GEITNER, PRESIDENT OBAMA OR ANYONE ELSE THE COMMENTER MAY DISLIKE. I value comments with good discussion and legitimate questions and concerns. So, please keep commenting. The IRS has published a new data book, the 2011 Data Book, here, with all sorts of interesting statistics relating to its revenue enforcement function. There is all sorts of good data about the number of returns filed in the aggregate and by category, the number of audits in the aggregate and by category and other fun data facts. The table of most interest to the readers is Table 18, titled Criminal Investigation Program, by Status or Disposition, Fiscal Year 2011. A separate pdf of that table is here. It is short table with footnotes and self-explanatory, so rather than summarize it here, I just recommend clicking the link and reading it. For IRS Criminal Investigation statistics, see here, with further links to more detailed statistics. In two cases, the Supreme Court has recognized the central role of plea bargaining in the criminal system and held the the right to effective assistance of counsel extends to advising the client in plea negotiations. Missouri v. Frye, ___ U.S. ___, 2012 U.S. LEXIS 2321 (2012), here (failure to advise the defendant of a time-limited plea offer by the prosecutor); and Lafler v. Cooper, ___ U.S. ___, 2012 U.S. LEXIS 2322 (2012), here (providing the defendant highly questionable advice to reject a proffered plea and go to trial instead). In an earlier case, the Court had anticipated this broader holding the context of a plea agreement where the attorney failed to advise the defendant of the collateral immigration consequences of the plea. Padilla v. Kentucky, 559 U. S. ___, ___ (2010), here. The State's contentions are neither illogical nor without some persuasive force, yet they do not suffice to overcome a simple reality. Ninety-seven percent of federal convictions and ninety-four percent of state convictions are the result of guilty pleas. See Dept. of Justice, Bureau of Justice Statistics, Sourcebook of Criminal Justice Statistics Online, Table 5.22.2009, http://www.albany.edu/ sourcebook/pdf/t5222009.pdf (all Internet materials as visited Mar. 1, 2012, and available in Clerk of Court's case file); Dept. of Justice, Bureau of Justice Statistics, S. Rosenmerkel, M. Durose, & D. Farole, Felony Sentences in State Courts, 2006-Statistical Tables, p. 1 (NCJ226846, rev. Nov. 2010), http://bjs.ojp.usdoj.gov/content/pub/pdf/fssc06st.pdf; Padilla, supra, at ___ (slip op., at 15) (recognizing pleas account for nearly 95% of all criminal convictions). The reality is that plea bargains have become so central to the administration of the criminal justice system that defense counsel have responsibilities in the plea bargain process, responsibilities that must be met to render the adequate assistance of counsel that the Sixth Amendment requires in the criminal process at critical stages. Because ours "is for the most part a system of pleas, not a system of trials," Lafler, post, at 11, it is insufficient simply to point to the guarantee of a fair trial as a backstop that inoculates any errors in the pretrial process. "To a large extent . . . horse trading [between prosecutor and defense counsel] determines who goes to jail and for how long. That is what plea bargaining is. It is not some adjunct to the criminal justice system; it is the criminal justice system." Scott & Stuntz, Plea Bargaining as Contract, 101 Yale L. J. 1909, 1912 (1992). See also Barkow, Separation of Powers and the Criminal Law, 58 Stan. L. Rev. 989, 1034 (2006) ("[Defendants] who do take their case to trial and lose receive longer sentences than even Congress or the prosecutor might think appropriate, because the longer sentences exist on the books largely for bargaining purposes. This often results in individuals who accept a plea bargain receiving shorter sentences than other individuals who are less morally culpable but take a chance and go to trial" (footnote omitted)). In today's criminal justice system, therefore, the negotiation of a plea bargain, rather than the unfolding of a trial, is almost always the critical point for a defendant. To note the prevalence of plea bargaining is not to criticize it. The potential to conserve valuable prosecutorial resources and for defendants to admit their crimes and receive more favorable terms at sentencing means that a plea agreement can benefit both parties. In order that these benefits can be realized, however, criminal defendants require effective counsel during plea negotiations. "Anything less . . . might deny a defendant effective representation by counsel at the only stage when legal aid and advice would help him.'" Massiah, 377 U. S., at 204 (quoting Spano v. New York, 360 U. S. 315, 326 (1959) (Douglas, J., concurring)). An issue that has been discussed via comments to various blogs is whether foreign real estate must be reported on Form 8938. The Form 8938 is here, and the Form 8938 instructions are here. The IRS has answered this question in a recently posted "Basic Questions and Answers on Form 8938 (posted 2-29-12)," here. 3. Does foreign real estate need to be reported on Form 8938? Foreign real estate is not a specified foreign financial asset required to be reported on Form 8938. For example, a personal residence or a rental property does not have to be reported. If the real estate is held through a foreign entity, such as a corporation, partnership, trust or estate, then the interest in the entity is a specified foreign financial asset that is reported on Form 8938, if the total value of all your specified foreign financial assets is greater than the reporting threshold that applies to you. The value of the real estate held by the entity is taken into account in determining the value of the interest in the entity to be reported on Form 8938, but the real estate itself is not separately reported on Form 8938. The IRS web site addresses other issues related to the Form 8938, so I refer readers to it. The DOJ is not relying solely on other countries to make the changes necessary to obtain information on unreported offshore accounts. Downing said that to move cases along more quickly, the government has been serving grand jury subpoenas for offshore bank account records to those under investigation. "That's a big push for us now, because it's very difficult and time consuming . . . to wait for the foreign governments to decide when and where we're going to get information," he said. That raises the question whether the Fifth Amendment privilege against self-incrimination includes the production of foreign bank account documents that must be maintained to file a foreign bank account report. That question could be headed to the Supreme Court. At issue is the required records doctrine, an exception to the Fifth Amendment privilege against self-incrimination formulated in Shapiro v. United States, 335 U.S. 1 (1948). Whether the exception applies is determined by a three-part test established in Grosso v. United States, 390 U.S. 62 (1968), that requires that (1) the purposes of the government's inquiry must be essentially regulatory; (2) information is to be obtained by requiring preservation of records that the regulated party has customarily kept; and (3) the records must have assumed public aspects that render them "at least analogous to public documents." I will have limited access to the internet until Monday. Hence, the most I can do is to approve comments once or twice in the interim when I get to internet access. Readers can continue to leave comments and I will approve them and later respond if I can. Enabler's Companies: Prior to 2003, UBS where Thomann served as a client advisor, and later at a series of asset management firms in Switzerland which did not maintain offices in the U.S.
Activity: On behalf of U.S. clients, Thomann managed financial accounts for U.S. taxpayers with Swiss financial institutions. Neither Thomann nor his asset management firms were licensed or authorized to do money transmitting in the state of N.Y. or with FinCEN. Thomann conspired with U.S. persons to hide Swiss financial accounts and income via false and fraudulent income tax returns. Thomann accepted significant sums of cash from U.S. taxpayer clients and redistributed it to other U.S. taxpayer clients while recording the receipts and redistributions to their respective accounts (thus insuring that he did not travel outside the U.S. with cash that was required to be reported). Collective maximum value for approximately 32 U.S. clients was about $139 million. The Means and Methods allegations starting on p. 7 and the Overt Acts allegations starting on p. 21 list many specific acts of skullduggery. Among those are: (i) used sham foundations to conceal; (ii) when UBS was pressured to turn over names, he helped U.S. clients transfer to Wegelin and other Swiss banks (pseudonymed as "A Swiss Bank," "Swiss Branch of an Israeli Bank," "A Swiss cantonal bank," "Swiss Liechtenstein Bank No. 1," and "Two Swiss Banks"); and (iii) he made money transfers to U.S. taxpayers both in the U.S. and elsewhere, with specific instances recited. Unindicted Co-Conspirators: UBS, Wegelin, Mattias Rickenbach (a Swiss enabler previously indicted, see blogs here), Beda Singenberger (a Swiss enabler previously indicted, see blogs here) and "others known and unknown." Enabler's Company: Beck Verwaltungen AG, an independent investment advisory and asset management firm in Zurich, Switzerland with no offices in the U.S.
Activity: On behalf of U.S. clients, Beck and his firm maintained deposits with Swiss financial institutions. Neither Beck nor his firm were licensed or authorized to do money transmitting in the state of N.Y. or with FinCEN. Conspired with U.S. persons to hide Swiss financial accounts and income via false and fraudulent income tax returns. Beck arranged for significant sums of cash to be delivered to U.S. clients. Collective maximum value for approximately 35 U.S. clients was about $129 million. The Means and Methods allegations starting on p. 7 and the Overt Acts allegations starting on p. 21 list many specific acts of skullduggery. Among those are: (i) when UBS was pressured to turn over names, he helped U.S. clients transfer to Wegelin and other Swiss banks (pseudonymed as "International Bank," "A Swiss Bank," and "Two Swiss Banks") ; (ii) he made money transfers to U.S. taxpayers both in the U.S. and elsewhere, with specific instances recited. Unindicted Co-Conspirators: "Founder", the person founding the firm prior to the 1980's; various U.S. taxpayers, UBS, Wegelin and "others known and unknown." A common parry in a tax criminal investigation or prosecution is to file a FOIA request with the IRS. The IRS / DOJ thrust is to resist. I provide at the end of this blog a general discussion of FOIA and the theories of resistance. On January 28, 2003, Steven Cheung and Linda Su Cheung, husband and wife, were indicted on one count of conspiracy to defraud the United States. The Cheungs are United States citizens. The indictment charged that the Cheungs concealed their ownership of, and millions of dollars of income derived from, businesses owning commercial parking lots in Hong Kong. Steven Cheung was charged in the same indictment with six counts of filing false or fraudulent income tax returns, five counts of filing false foreign bank account reports, and one count of failing to file a foreign bank account report. The indictment alleges that the Cheungs engaged in financial transactions in the United States, Hong Kong, the Marshall Islands, and the British Virgin Islands and “utilized a web of corporations and other entities” in those countries. When they lived in the United States, their principal residence was in Seattle, Washington. The Ninth Circuit affirmed the lower court's holding that Exemptions 3 and 7(A) applied. 5 USC 552(b)(3) and (7)(A), here. The Ninth Circuit's opinion on the application of these FOIA exceptions appear to plough no new ground, but is a good illustration of these exceptions. Criminal defense attorneys are always thinking about ways to win their cases. Defendants also have a keen interest in winning. One of the best defenses is to neutralize key prosecution witnesses. But there are ways to do that and not to do that. This blog is about a way not to do that. It from the following article Calif. tax preparer accused of ordering hit on 2 (CBS News 3/6/12), here. The balance of this blog reports the article. I have no independent knowledge of the events described. A tax practitioner -- a former IRS agent -- operated a tax preparation business for the wealthy. In at least some instances, he had wealthy clients who were inattentive, permitting him to steal large amounts of money from them. The article is cryptic about precisely he managed to steal the money in a tax practice, but apparently he would present a return to the clients showing a very large tax bill, convince the clients that they should deposit the tax into his account so that he could write the check to the IRS, and then file false returns showing much less liability and paying that smaller amount. He would pocket the difference. I am not sure that is exactly how it worked in all cases, because there is another statement in the article that he filed a return for a client reporting $ 42.1 million when the client's income was only -- get this, only -- $20.7 million. I am not sure how he would get his money by reporting more tax than he got from the client. Still, somehow, allegedly, he did stole from his clients. He was indicted on multiple clients of fraud. Not tax fraud; just fraud for defrauding clients. So, the tax practitioner attempted some self help. Not just neutralize, but eliminate the key witnesses against him. According to the article, he stands "accused of ordering at least two former customers killed as they prepared to testify against him on fraud charges." The petitioner is 64 years old and resides in Mechanicsburg, PA. He is a married, permanent resident legal alien who was born in Italy. 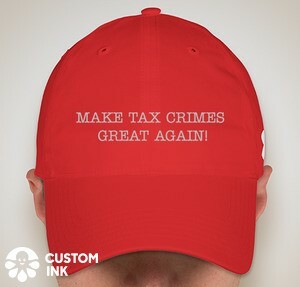 In 1994, a two-count criminal Information was filed by the United States against Purpura charging him in each count with making false statements on his federal income tax returns in violation of 26 U.S.C. § 7206(1). An investigation by the United States into the criminal conduct of another person led to the examination of Purpura's income tax returns. It was determined that his tax returns incorrectly certified that Purpura did not have any financial interest in bank accounts in his native country of Italy or in any foreign nation during the two years in question, 1990 and 1991. In fact, Mr. Purpura did maintain bank accounts during that period of time in Italy. However, it was also determined that these mis-statements did not result in any tax loss to the United States. The investigation further established that Purpura was not involved in any way in the criminal conduct of the other person. Purpura admitted to the conduct, was cooperating with the United States and agreed to use his best efforts to secure the return of money from the accounts in Italy that was being held for the person under investigation and to provide those funds to the United States. All of these facts were placed on the record at the change of plea proceeding on August 18, 1994. Purpura was sentenced on January 19, 1995. After reviewing the Pre-Sentence Investigation Report and hearing from the parties, and after considering the underlying facts of the case and that the United States suffered no tax loss as a result of Purpura's failure to disclose these bank accounts, this court chose to impose a sentence of no more than a fine of $4,000, consisting of a $2,000 fine on each count. This court also imposed a $100 special assessment. Purpura was not ordered to serve any term of probation or supervised release. The sentence of a fine only reflected this court's consideration of the offense conduct and Mr. Purpura's otherwise law abiding life and productive citizenship in the United States. This blog post will offer a place for readers to share their experiences and observations for the Form 8938, Statement of Specified Foreign Financial Assets. IRS links to the Form and Instructions, here. Section 6038D, here, which is the law requiring the Form. The IRS web site for the Form, titled Do I need to file Form 8938, “Statement of Specified Foreign Financial Assets”, here. Temporary Regulations, T.D. 9567, "Reporting of Specified Foreign Financial Assets," dated 2/21/12, here. IRS web site on FATCA, here. IRS web site titled "Basic Questions and Answers on Form 8938 (posted 2-29-12)," here. Everyone knows that, in our system, to convict of a crime requires that the fact finder determines guilt beyond a reasonable doubt. I have written before about the concept of reasonable doubt. Reasonable Doubt - What is It? (10/16/09), here. Today, I refer readers to an excellent discussion of the reasonable doubt defense where the defense's case is weak in terms of affirmative evidence. Does the defense lawyer do his client a service by making the central theory of the case that the the prosecutors did not prove the case beyond a reasonable doubt? To state the proposition starkly, can the defense lawyer make a credible argument that the prosecutors may have proved that the defendant was more likely than not guilty, but they did not prove that he was guilty beyond a reasonable doubt? I hope readers will instinctively realize that this type of argument is weak, even if presented some other way (say, not acknowledging that the prosecutors made a more likely than not case and emphasizing only that they did not prove guilt beyond a reasonable doubt). A defense lawyer might be tempted to do this where the case is really weak. I presume that the defendant did not take the stand in such a case because of the risk of making the prosecutor's case stronger. A jury may be convinced of guilt beyond a reasonable doubt by disbelieving the defendant. The jury may wonder why the defendant did not take the stand to proclaim his innocence, but a judge will instruct the jury that they can draw no inference from the fact that the defendant did not testify. Rather they must look to the quality of the evidence actually presented in determining guilt beyond a reasonable doubt. In this situation, how credible is the defense attorney's argument that the jury should not find guilt beyond a reasonable doubt? Keep in mind that the argument can be presented to the jury only after a motion for acquittal has failed on the ground that a reasonable jury could not find guilt beyond a reasonable doubt. I refer the readers to an excellent discussion of the issue. Jim McElhaney, The Burden of Reasonable Doubt: When a Standard Designed to Protect Defendants Actually Hurts Them (10/1/11), here. Oh, and Mickey Mouse? Read McElhaney's article. One of the risks in eggshell civil audits -- where risk of criminal prosecution is material -- is the possibility of parallel investigations. Parallel investigations are simultaneous civil investigations and criminal investigations. These can involve the same agency and cooperating agencies (such as the SEC and the DOJ). In the case of civil audits, they would typically involve different branches of the IRS -- the civil examination function and CI. The risk is that the civil examination will further the criminal investigation, whether with malice aforethought or not. And, certainly, if the taxpayer is the target of the CI investigation, the taxpayer may want to take a different approach in his or her cooperation in the civil investigation. Tax Notes has an excellent recent article where practitioners discussed some of the issues in parallel IRS investigations. Shamik Trivedi, Parallel Criminal and Civil Investigations Require Caution, Practitioners Say, 2012 TNT 35-23 (2/22/12), available to the Kostelanetz & Fink website, here. 1. Due to a change in the IRS policy statement (currently in PS 4-26, here), more parallel investigations are being observed. In a report with many redactions, TIGTA has recently reviewed CI's undercover operations and made recommendations. See TIGTA report titled Criminal Investigation Can Take Steps to Strengthen Oversight of Its Undercover Operations (Ref No. 2012-30-014 2/3/12), here. Criminal Investigation’s (CI) primary mission is to serve the American public by investigating potential criminal violations of the Internal Revenue Code (I.R.C.) and related financial crimes in a manner that fosters confidence in the tax system and compliance with the law. To accomplish its mission, CI uses undercover operations as an essential technique in the detection and investigation of criminal activity involving tax and money laundering offenses. An undercover operation is a law enforcement technique whereby a special agent, acting under an assumed identity, infiltrates a suspected criminal organization without the knowledge of the perpetrators for the purpose of acquiring evidence of criminal activity. CI has special agents who are trained in undercover techniques and are commonly referred to as undercover agents. In addition to the undercover agent(s) assigned to an undercover operation, other CI personnel, i.e., cover agent, case agent, Supervisory Special Agent, and technical special agents, referred to as the undercover team, normally participate in the undercover operation. CI’s Office of Special Investigative Techniques has oversight responsibility for the approval and execution of all undercover operations. This responsibility includes recommending corrective actions to CI officials to address areas for improvement. Undercover operations are also subject to review during Review and Program Evaluations of each field office. During Fiscal Years (FY) 2008 through 2010, CI closed ***2(f)*** undercover operations that expended ***2(f)*** in confidential expenditures. The majority of these undercover operations were classified as grand jury. An undercover operation categorized as grand jury has had evidence brought before a Federal grand jury to seek an indictment against the target(s) of the investigation. According to Rule 6(e) of the Federal Rules of Criminal Procedure, only those persons authorized have the ability to review evidence presented before the grand jury. The Assistant United States Attorney’s Office makes the final decision regarding individuals who are authorized access to grand jury information. In addition, authorized persons are prohibited from disclosing, to those that do not have authorized access, any evidence presented to the grand jury. Figure 1 provides information for the ***2(f)*** undercover operations by classification, i.e., grand jury or non-grand jury, and the amount of confidential expenditures. "Opting Out" #1 (3/2/12), here. "Opting Out" #3 (4/4/12), here. NOTE: PLEASE POST COMMENTS ON THIS TOPIC TO THE NEWEST BLOG ENTRY IN THE "OPTING OUT" SERIES.